Update: The IHG, Ink Plus, and Ink Cash limited time offers have ended. -The BA limited time offer is advertised as running until June 30th. -The Southwest limited time offer doesn’t have a published end date. -Chase Ink Plus normally offers 50K points for spending $5K in 3 months, but is offering 60K points if you apply by 05/25. There is a $95 annual fee. 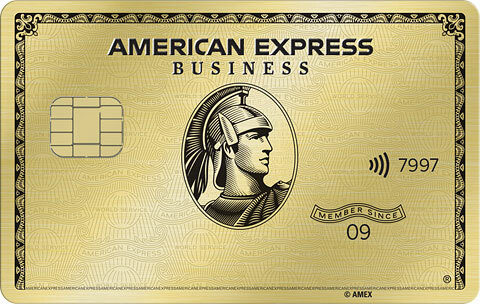 This card earns 5 points per dollar on telecom, cable, and office supply purchases and can transfer points into airline miles and hotel points. When transferring the points into miles for travel it’s not difficult to get a value of 1.75 cents per point, making the signup bonus worth $1,050, though it can be lower or much higher depending on how you use the miles. There are no foreign transaction fees. Read more about the Ink Plus offer and applying for a business card here. -Chase Ink Cash normally offers 20K points for spending $3K in 3 months, but is offering 30K points if you apply by 05/25. There is no annual fee. The Ink Cash card offers 0% APR on purchases and balance transfers for 12 months, and best of all balances on business cards won’t hurt your credit score. This card earns 5 points per dollar on telecom, cable, and office supply purchases. 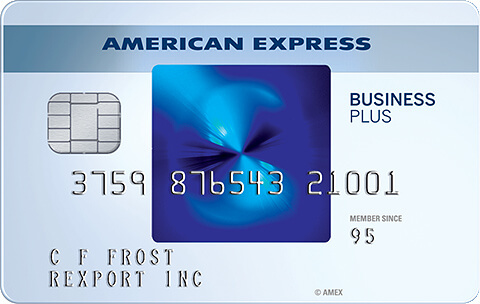 You or a spouse need an Ink Plus or Sapphire Preferred to transfer points earned from this card into more valuable airline miles and hotel points. When transferring the points into miles for travel it’s not difficult to get a value of 1.75 cents per point, making the signup bonus worth $525, though it can be lower or much higher depending on how you use the miles. Read more about the Ink Plus offer and applying for a business card here. -Chase Southwest Premier normally offers 25K points for spending $2K in 3 months, but is offering 50K points for a limited time. There is a $99 annual fee. There are 4 versions of this card. The points have a variable value that can fluctuate between 1.5-1.9 cents each towards Southwest travel, making the bonus worth $750-$950. 50K points can also be used for $500 of gift cards to dozens of other stores. Every anniversary you’ll also get a 6,000 point bonus. Award flights can be cancelled without penalty. All flights allow 2 free checked bags. Earn 110K points in a calendar year and get a companion pass good for unlimited free travel for a companion until the end of the following calendar year. There are no foreign transaction fees. More info on the program in this post. -Chase United Explorer normally offers 30K miles for spending $3K in 3 months plus 5K miles for adding a free additional user, but is currently offering 50K miles for spending $2K in 3 months plus 5K miles for adding a free additional user if you apply by 06/02. The $95 annual fee is waived for the first year. When used for flights it’s not difficult to get a value of 1.7 cents per point when using, making the signup bonus worth $935, though it can be lower or much higher depending on how you use the miles. Just by having the card you’ll have expanded saver award availability, last seat standard award availability, free checked baggage, priority boarding, and 2 free United Club passes per year. Your miles will never expire for as long as you are a cardholder. 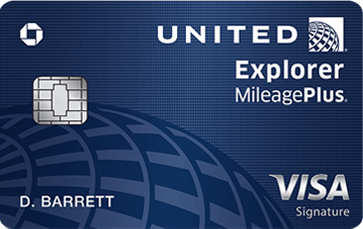 Elite members become eligible for upgrades on award tickets by being a cardholder. Short-haul awards start at 10K miles and unlike most other major airlines, awards never have fuel surcharges. Spend $25K in a year and get a 10K mileage bonus and waive the flight spend requirement to earn elite status. There are no foreign transaction fees. More info in this post. -Chase British Airways offers 50K Avios for spending $2K in 3 months and normally has a $95 annual fee. If you apply by 06/30 the annual fee is waived for the first year. Awards start from 4.5K Avios each way and can be cancelled for just $5.60. When used for flights it’s not difficult to get a value of 1.5 cents per point when using, making the signup bonus worth $750, though it can be lower or much higher depending on how you use the miles. There are no foreign transaction fees. Everything you want to know about British Airways Avios in this post. -Chase IHG normally offers 60K points for spending $1K in 3 months, but is currently offering 70K points if you apply by 05/31.. The $49 annual fee is waived for the first year. Every anniversary you’ll also get a free night at any IHG hotel (even in an overwater bungalow in Bora Bora). You get Platinum elite status for as long as you’re a cardholder. You’ll also get a 10% point rebate on your redemptions, up to a 100K rebate per year. There are no foreign transaction fees. Awards start at 5K per night. 61 Comments On "Roundup Of Limited Time Increased Credit Card Offers From Chase"
Are you ever going to get back your affiliate links with Chase? @dan how bout the southwest plus! Only $69 annual fee. You can reach the links via the instructions at the beginning of this post. I note there are 4 versions of the card, they can all help you reach companion pass. for the Chase Ink Plus, the link does not say that the $95 annual fee is waived for the first year. is it really waived or is there a better link? I’m not aware of a better link, but people have had success sending an SM to get matched to the fee-free offer. @Dan the United card has an offer for 50k plus 5k for authorized user plus a $50 statement credit. Go on the united website and search for a flight, on the confirmation page before the payment screen you will find the offer. I recently got the IHG credit card with a 50k offer. Do you think they’ll match the 70 k offer if i call? Should be able to SM to get that as well. Send an SM to get it matched. Hi Dan if i am looking for free hotel stays for my family of 8 in places like LA or buffalo which chase hotel card would you sign up for: marriot or IHG or maybe you think there is another chase hotel card that is better? “Should be able to SM to get that as well” In the past when I SM’d they didn’t like to match the cash offers. Then again I’m not terribly good at HUCA. I only have CSP for 6 months. No other Chase cards. Credit history on my own since August and as AU 2 years. What 2/3/4BM (if possible) would you suggest. How many of these cards could we get at the same time and still expect to get the bonuses? I have the chase ink business plus. Can I apply for it again? i got the southwest premier a few months ago. Will chase approve me for the plus now and will I be eligible for the 50k for the plus? Thx! How can i use ink miles to buy a hawaii ticket in a flat bed seat for 30k on united? How could i buy a first class, flat bed seat using 30k points from ink on singpaore and fly united? I already have chase ink and chase British Airways. If I apply for three of of the other cards via 3bm will I still get welcome bonuses for the new cards? Isn’t there also a Sapphire deal? Depends what kind of hotels you’re looking for. Tried sending a 2nd SM? Depends on your travel needs. You’ll get the bonus for as many as you get approved for. Will be tough to get 2 of the same card for the same business. Call Singapore to book you on United. The regular deal, 40K+5K for an additional user. Dead link, when you click apply now it gives an error and forwards you to a 60K offer. ink is a business card and IHG is personal therefore I can’t do a successful 2BM, correct? how come you say that chase ink cash offers 30k points, but in the link it says earn $300 bonus cash? They market it as $300, but it’s really 30K points. I got an offer with invitation # in the mail for the ink card with no annual fee for first year. if I apply via your link, where will I enter my invitation # to get no annual fee? That IHG link is not dead. Just tried it. Says, 80,000k with annual fee waived first year. Not combinable, but people have been able to SM to get the fee waived. Did you click apply now? It gives an error and forwards you to a 60K offer. Dan if i decide to go for the IHG should I go for 2BM or 3BM? 1) If I fell asleep at the wheel and forgot to meet the spend requirement for the IHG card, do you think or have you heard of being able to get a second chance? 2) Are there any “special” or less widely available cards I could be eligible for with an 863 FICO score? Hey Dan, What type of points does the Chase IHG card offer? @Dan do we know when.the Citi thankyou 50k bonus ends? How about the $650 At&t citi offer? Does HUCA work for reconsideration. Chase is denying 2/3 of my 3 BM application saying they cap at one card in a 30 day period. Anyone else hear or have this issue? And should I HUCA? Can you apply for same card you used to have and still get the bonus? Hi Dan â€“ I applied for the Ink Plus back in 11/2013, received the bonus and cancelled the card 1yr later. I then applied for the Ink Bold in 5/2014, received the bonus and am planning on canceling it rather shortly, before the AF kicks in. Do you know if Chase have the same 24 month “no bonus rule” on the Ink Plus card? Meaning, am I going to have to say I have â€œanother businessâ€ and use my same SS# again, or am I OK just reapplying for the Ink Plus now? Thanks! If you get approved you’ll get the bonus. Thanks, Dan – I’m sorry if I wasn’t clear.. I want to reapply for this offer, but am curious to know as to whether you think I should apply with a new business name and my same SS#, or if I can just do a sole prop again? Basically, I don’t want to waste an inquiry if Chase has the same 24 month bonus waiting period on business cards like they do on consumer cards. Either way you’ll get the points if approved. OK, I’m still not entirely clear as to whether I should apply with another business name and my same SS#, as I have multiple businesses that are sole props, or whether the 24 month rule even applies with business cards. I thought I remembered seeing something in DDF that the 24 month rule wasn’t applicable to businesses, but I guess I’ll have to search for it. whats some of the differences? are all southwest flights fully refundable or just award tickets? Hi Dan, they told me at chase that i can only get approved for 2 cards within 30 days. is this a new rule? or should i keep HUCA? i would say i love SW (i travel all the time with them) and i like to do spending for different things on different card i.e grocery and clothing on separate cards… keep calling..
Ok, so I did 4 HUCA”S and finally got all 3 🙂 Yay! Good weekend to all! Hey Dan, what if I’m a student and can’t spend $5k in the first three months?! Is there any way around that perk to get the 60k miles? What is the best “Chase Reconsideration” phone #? Does anybody have the code for the 60k that was offered? So…first time I’m getting a credit card and ALL of these deals seem pretty sweet! But what do you think ranks highest? Amount of points on startup vs. low annual fee vs. funky awards (like 2 free luggage, elite membership etc.) 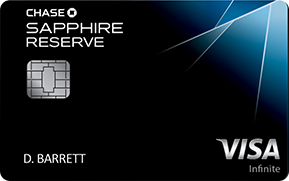 vs. airline card… I plan on making big purchases as well, right away. If this is your first credit card with no credit history, it’s not likely you’ll get approved for Chase. If I sign up for the ihg card, have them over night it and spend the required amount the same day is there a way for me to get the points right away? If not what’s the normal amount of time it takes to get the bonus points? Whats the rate on the IHG points? First of all thank you for all the relevant info…I have a question on Southwest Business Cards. I have had premier in the past, but never plus. I don’t see anywhere that I can sign up for the SW Business Plus Card. I looked at both Southwest and Chase sites???? A few weeks ago I applied for – and got approved for – 4 Chase United Explorer cards for various family members. I took a Screenshot of the offer; it clearly states the cardholder must spend $3,000 within 3 months of approval to earn 50,000 bonus miles. Since my applications were approved (3 of the 4 were instant approvals) I’ve seen ads stating that one need spend only $2.000 within 3 months to get the 50,000 bobus miles. All other requirements and benefits appeared identical. Is it possible for me to claim the $2,000 rather than $3,000 spend requirement? Can someone post the link to the Southwest Rapid Rewards Card that offers the sign-up bonus? For some reason it’s not working when I click on it from the post. Thanks!